Luke Jackson has practiced law for 14 years. During that time he has gained experience in many areas of law, including bankruptcy, civil litigation, personal injury, probate litigation and estate planning. 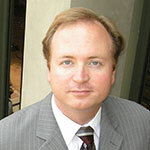 He is a 2002 graduate of UCLA School of Law and received his Bachelor of Arts from UC Santa Cruz in 1999. In his free time, he enjoys reading and traveling. Where were you educated and what qualifications did you earn? I was admitted to the California State Bar in early 2004 after attending the UCLA School of Law, where I obtained my Juris Doctor degree. Before that, I received by undergraduate Bachelor of Arts degree in Modern Literature from UC Santa Cruz in 1999. Prior to joining Vokshori Law Group, what previous, relevant, positions did you hold? I have worked in bankruptcy and civil litigation throughout my fourteen years of legal practice. From 2009 through 2013, I ran my own law firm, the Law Offices of Luke Jackson, and handled hundreds of bankruptcy matters to successful resolution as well as civil litigation cases. What causes do you support? Do you do any charity or community work? I have worked on pro bono legal matters for low-income clients previously during my years of practice. My work now at Vokshori Law Group helps people to stay in their homes when they are having financial trouble. The best part is working together as a team to help our clients stay in their homes. There is a great team spirit at VLG and we do noble work for people in financial straits. I enjoy how everyone here genuinely gets along with one another without any competitiveness or back-biting. There is a great amount of camaraderie. I enjoy reading, traveling and exercise. If I had total financial freedom, I would travel the world, not as a short vacation but as an extended trip with the opportunity to explore and see absolutely everything I can about the world. My son Dylan, who is now in high school and becoming a fine young man in my unbiased opinion. I am reading/listening to the audiobook versions of Blink by Malcolm Gladwell to learn more about human intuition, and Iron Gold by Pierce Brown just for fun. When I was in the fifth grade, I was the star of my school play. I played “Greta Garbage,” a trashy version of Greta Garbo, in front of all of my peers and their parents.